It is very hard to draw a conclusion on a router that I have little to compare it to. My own router is the popular Netgear DG834GT, which while being a great little router, is restricted with the wireless 'g' standard. The RT-N11 meanwhile uses the wireless N standard, so comparing the two side by side is a little unfair as it's like comparing apples to oranges. It was, however, interesting to see how wireless N compares to the g standard most routers use today. If you are in the market for an upgrade, I hope you find the comparisons useful. So then, I am left with the features of the Asus RT-N11. The router setup utility was straightforward to use and can be easily navigated by both the novice and experienced networker alike. The one touch setup was just that, but experienced users may want to explore the router's settings more thoroughly. The firewall and wireless features are both extensive and again, easily configured with minimal knowledge required. The configurable 'VIP zones' are a great idea. I was surprised how easy they were to set up, considering I didn't read the PDF manual included on the CD to begin with. This is the obvious selling point of this router and one that will be a very welcome addition to a busy home or small office network. 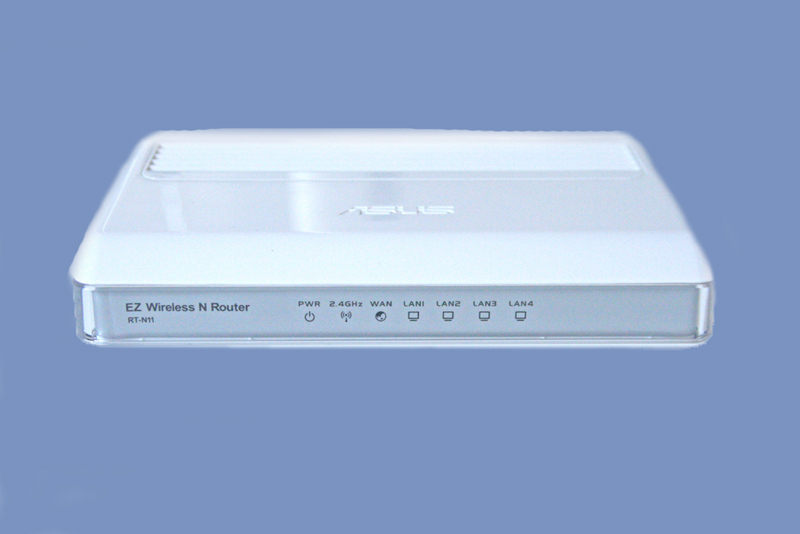 There is however one major drawback to the Asus RT-N11 in that it is a standalone router. ADSL users would still require the use of a separate modem, which would then need to be wired to the RT-N11 for internet access. This will be off putting for some, as one of the reasons for going wireless is to rid some clutter from your work area. If, however, you have your router/modem hidden away in some central point in the house or office and you don't mind the use of a separate modem, then there is no doubting that this is a powerful piece of kit that will provide some fantastic networking capabilities for both the home or small office user. Thanks to Asus who provided the RT-N11 for todays review. Discuss in our forums.